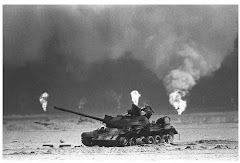 The Department of Veterans Affairs (VA) has launched the Gulf War Veterans’ Illnesses Biorepository (GWVIB) to support research on the causes, progression, and treatment of disorders affecting Veterans of the 1990-1991 Gulf War. This is the first time that any study has tried to start a national biorepository for Gulf War Veterans. The study will find out how to best set up a Gulf War Veterans Biorepository and to see if there are enough Veterans who will volunteer to participate. Biorepositories, also called bio-banks, collect and store human fluid and tissue samples. The GWVIB plans to follow the health of enrolled participants over their lifetimes through mailed surveys, telephone calls, and electronic health records. Participants in the GWVIB have generously volunteered to donate their brain and other body tissue after their death. The donated tissue, along with the health information collected from Veterans during their lifetime, will provide crucial information for use in research on illnesses affecting Veterans of the 1990-91 Gulf War. The launch of the GWVIB has been long awaited by Gulf War Veterans. About 697,000 men and women served in the first Gulf War, and since then nearly 250,000 have experienced chronic, medically unexplained illnesses, known collectively as Gulf War Veterans’ Illnesses. Symptoms include fatigue, headaches, joint pain, as well as disordered respiratory, digestive, and cognitive function. The cause of these illnesses is unknown, and effective treatments remain elusive. 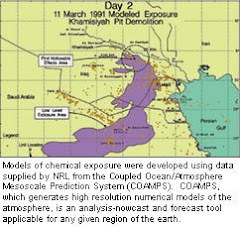 “Hundreds of thousands of ill Veterans of the 1990-91 Gulf War depend on cutting-edge biomedical research to better understand and treat these illnesses, and providing crucial tissue and health information to researchers will be a vital resource for this research”, noted the project’s Principal Investigator, Dr. Neil Kowall, M.D. All Veterans of the 1990-1991 Gulf War era living in the United States, regardless of whether they served in the Gulf region or are experiencing symptoms are eligible to participate. Additional information about this study can be found at (http://www.research.va.gov/programs/tissue_banking/gwvib/) or by calling toll-free 855-561-7827.